Calendar. Lamination(UV) available (includes dry erase marker): $1.89 (D). 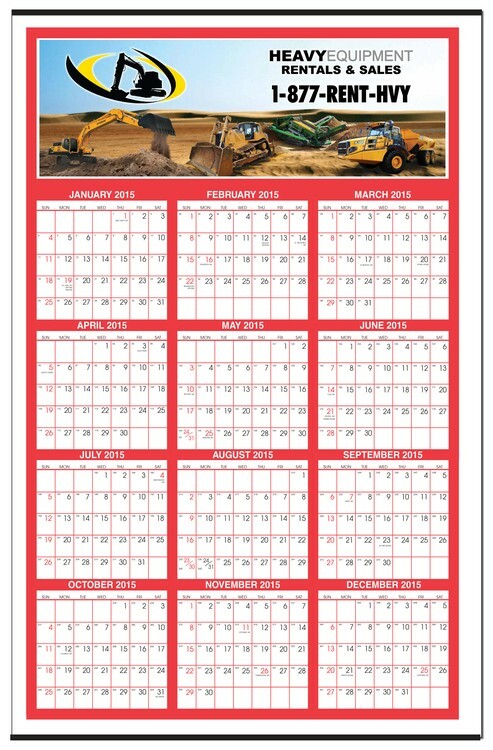 This is the largest wall calendar in the industry. Custom Design is available for $250(G). Year in view calendars have great office appeal.